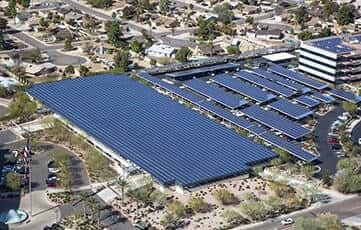 GSW manages complete EPC for Solar Projects. GSW is an Australian Company based in Silverwater, NSW. GSW aim to provide techno-economical and sustainable energy solutions for its retail, commercial and industrial customers. The corporate mission is to promote Sustainable, Green and economic Energy across the Globe. 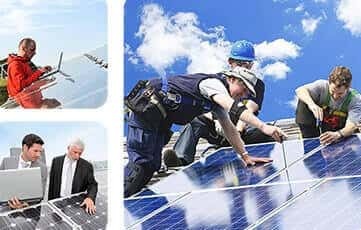 Global Solar World assess your energy needs and deliver a complete energy solution tailored to the specific requirements of your home or business. GSW deals in solar Retail products for residential & commercial Projects. Global Solar World is your one stop shop for all your solar products and services needs sourced..
WHY GSW ? Global Solar World is your one stop shop for all your solar products and services needs sourced from all corners of the world. GSW warranties are backed up with Insurance Coverage from Llyods of London. GSW provides comprehensive operations and maintenance (O&M) services at a nominal cost on a monthly basis. GSW provides additional benefit to its Customer by arranging Energy Audit by informing its customers how power can be saved in his premises or facility. Prices declared / notified in the web site are “ NOT EXCEEDING PRICES” after accounting for STC benefits which can be firmed up /optimised at the time. Global energy markets are rapidly changing. Renewable energy technologies now constitute more than half of the new power plants built worldwide each year stalling growth rate for Coal based power projects globally including China . Currently, oil and coal prices are at record lows, which has halted the development of most new coal and oil mining projects. Electric vehicles still have a negligible share of global car transport this is likely to change as most international car manufacturers prepare for a massive shift toward electric vehicles. It is possible that the market for electric vehicles could follow the same exponential development pathways as the solar photovoltaic (PV) market. Solar photovoltaic at the household level is now cheaper than retail electricity prices (tariffs) in most industrialized countries. Between 2010 and 2015 solar technology suddenly took off, with increasing market shares and a significant drop in investment costs. As such, it is now cost-effective for many households to produce their own power. Australia is very well positioned to tap into the new large-scale global renewable market. The need to transform Australia’s energy system is further strengthened by the ageing coal power plant fleet. Indeed, the age of the fleet necessitates an almost complete replacement within the next two decades. This opens up a historic window of opportunity to restructure Australia’s power sector, moving from our current reliance on fossil fuels to a resilient and carbon-free renewable power system. 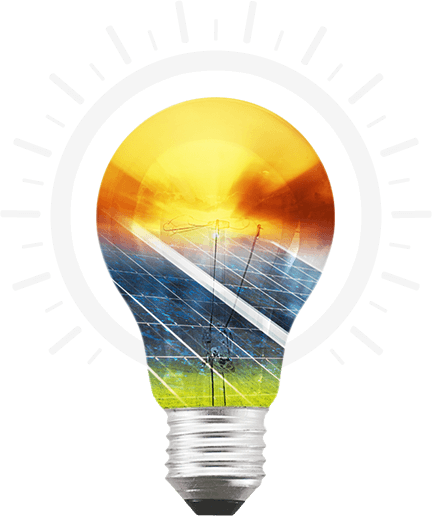 Australia intends to redefine the role of energy as a “Service” rather than a “Commodity” and to evolve the role of network companies and retailers as energy service organizations. 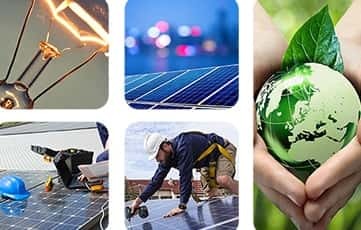 International examples of power markets with a high share of renewable energy such as Germany, Denmark, Spain and USA states such as Texas have paved the way to 100% renewable energy is technically feasible, and our research indicates that Australia is in a good position to do likewise. Reference scenario based on Australian government forecasts. Renewable scenario focused on renewable energy in the stationary power sector by 2030 while the transport and industry sectors remain dependent on fossil fuels. Advanced Renewable scenario for a fully decarbonized power sector by 2030 and a fully renewable energy supply system – including transport, and industry – by 2050. Source: Australian-first research conducted by the Institute for Sustainable Futures (ISF) at the University of Technology Sydney. 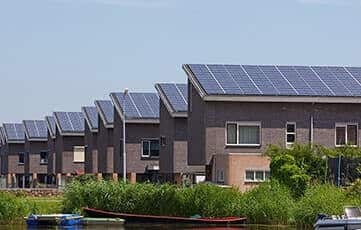 GLOBAL SOLAR COMPANY PROMOTING GREEN ENERGY ACROSS THE GLOBE. GSW is incorporated in Australia by a visionary, Mr Jasbir Singh, MBA(Finance), MSc (Power System). Mr. Jasbir Singh is also One of the Directors in ADGEX Ltd. Mr. Singh is a recognized speaker in many International conferences in energy sector including recent energy future conference 2016 organized by UNSW, Sydney. Mr. Singh started this company with a mission to promote Solar Energy across the Globe with Australia and India as prime focus market initially.